From a small single room, or an open plan office to a large production area, Commercial Interiors & Storage Ltd can design and construct a wide range of suspended ceiling solutions. 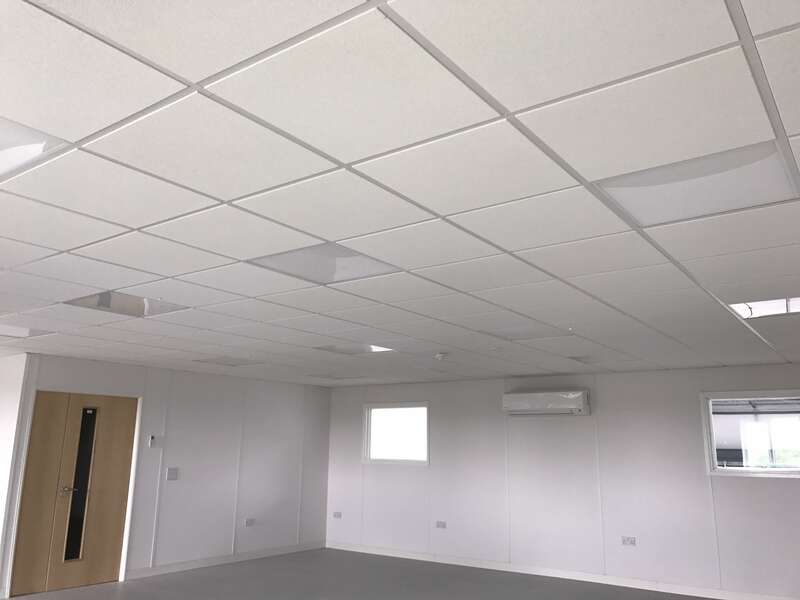 We are able to provide suspended ceilings in Bedford which have been optimised for aesthetics, acoustic performance, thermal insulation, enhanced light reflection, durability and fire protection to a wide range of budgets. Our ranges include: plastered MF ceilings, modular grid and tile systems, sophisticated concealed grid and a variety of canopy designs to complete your working environment. Commercial Interiors & Storage Ltd is proud to be an Armstrong Omega Specialist Ceiling Contractor. The OMEGA programme is designed to develop the partnership between Armstrong World Industries Ltd and Specialist Interior Contractors such as CIS Ltd. Both parties are committed to superior performance and service through the provision of quality products installed by fully trained, experienced fitters in accordance with current industry standards. With access to a wide range of systems, we can provide suspended ceilings to meet any performance specification and budget – including supplying and fitting suspended ceilings in Bedford and surrounding areas. Our extensive experience in finding the optimum products and the quality workmanship of our fitters enables us to provide the best solution for the needs of our clients. This, linked with our modern partitioning systems and clean fresh decoration, can deliver you the complete business environment. We are based in Bedfordshire and cover all the surrounding areas including Bedford, Milton Keynes, Cambridge and much more. 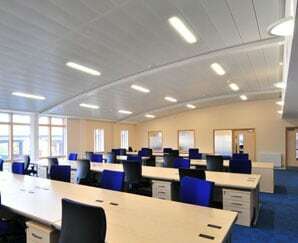 Contact us today to enquire about the ceilings we can add to your office to enhance your work space. Suspended ceiling solutions from small offices to large production areas. We are part of the Armstrong Omega programme, and distribute high quality Armstrong suspended ceilings. We cover Bedford, Milton Keynes, Cambridge and much more.